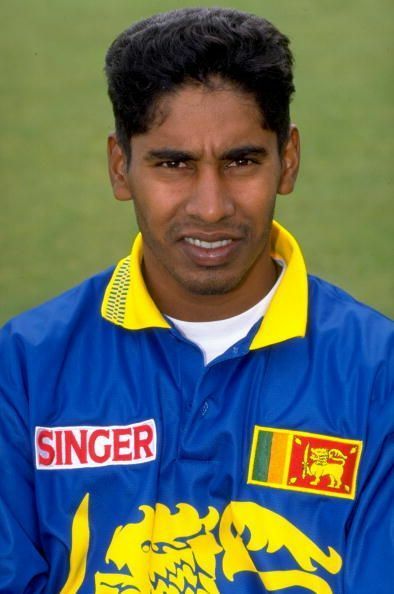 Arguably one of the best new-ball bowlers the world has ever seen, Chaminda Vaas was an international cricketer who played in all formats of the game for Sri Lanka. He was born on 27 January 1974 in Mattumagala, Sri Lanka. He was a left-arm fast medium bowler and was widely regarded for his ability to swing and seam the ball. His trademark delivery was the late indipper. Chaminda Vaas was just 16 when he made his first-class debut. After leaving school, he joined the Colts Cricket Club and made his debut against Galle Cricket Club. He was successful in making an impact at this level. Because of this impact, he was called to the Test side with just 13 matches under his belt. He was approximately 20 years of age when played the first Test match for Sri Lanka. His first international match was an ODI against India on February 15, 1994. He took only one wicket of Navjot Singh Sidhu in the match and gave 40 runs at an economy of 5. A few months later, he played his first test match against Pakistan. Although he couldn’t get any wicket in the test match, he was able to impress the team with his bowling skills. Vaas rose to prominence very quickly. In the first year itself, he guided the team to their maiden test win against New Zealand by taking 5-47 and 5-43 and also scoring 33 and 36 runs in the two innings respectively. He was nominated Man of the Match. In the next match of the series, which was his sixth test, he took a five-wicket haul again and was again awarded the Man of the Match. He became a permanent member of the team very early in his career. Vaas played for many clubs during the course of his career. He joined the Middlesex County Cricket Club for the 2007 season and did well for them. He also signed with the Deccan Chargers franchise in the inaugural season of Indian Premier League. For the 2010 T20 competition, he joined the Northamptonshire County Cricket Club. During the competition, he found himself in the position of an opener and still did well as he scored three half-centuries. He also played for Northants. Vaas holds the record for taking the only 8-fer in ODIs with his 8 for 19 in just eight overs against Bangladesh in the 2003 ICC Cricket World Cup. This performance included a hat-trick taken off the very first three balls of the Bangladesh innings. It was the first time that a hat-trick was taken off the first three balls. He was also the youngest bowler to take 300 wickets in ODI cricket. In 2009, Vaas announced his retirement from Test cricket and then subsequently retired from all forms of the game. He has been a part of the cricketing world even after retiring. He coached New Zealand fast bowlers in 2012. In the following year, he was appointed the bowling coach for Sri Lanka. In 2016, he served as a short-term coach for the Ireland team and then he was re-hired as a consultant for Sri Lanka and later replaced Champaka Ramanayake as Sri Lanka’s bowling coach.